Talk about a perfect storm. As the Atlantic hurricane season kicks off this month, some coastal communities are still recovering from last year's record-breaking extreme weather damage. Meanwhile, the National Flood Insurance Program is again on life support – over $20 billion in debt and requiring reauthorization before its temporary extension ends on July 31. 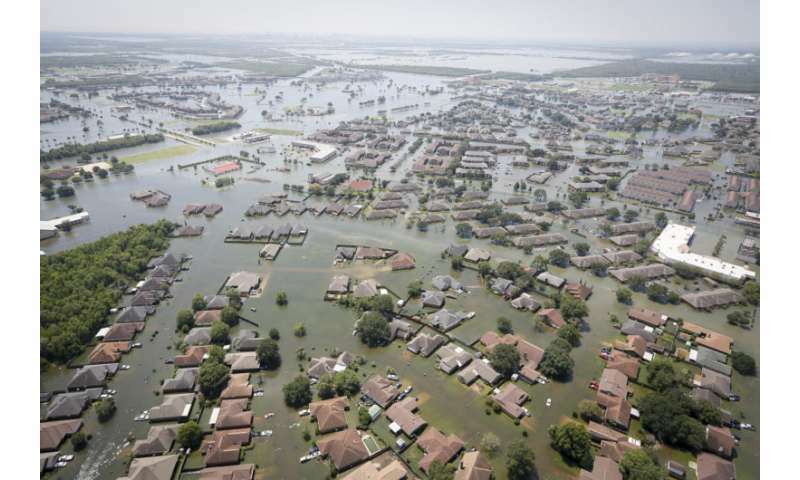 Even on sunny days, cities such as Miami and Charleston contend with high tide or "nuisance" flooding – a phenomenon that has increased as much as nine-fold since the 1960s, according to the National Oceanic and Atmospheric Administration. All of this – and related dangers for low-lying U.S. military installations around the world – amount to a national security threat, according to Alice Hill, a research fellow at the Hoover Institution, and Katharine Mach, a senior research scientist at Stanford's School of Earth, Energy & Environmental Sciences. Hill and Mach are editors of a newly published white paper that explores policy options related to sea level rise as well as questions around science and risk. The white paper is based on a series of discussions convened by the Hoover Institution, the Stanford Woods Institute for the Environment and the Woodrow Wilson International Center for Scholars that focused on pathways to solutions for coastal challenges. Stanford Report spoke with Hill and Mach to get their perspectives on building U.S. coastal resilience. What makes coastal resilience a national security issue? Hill: The U.S. Department of Defense has repeatedly identified climate change as a "threat multiplier" to national security. Three feet of sea-level rise would threaten 128 military installations, according to the Union of Concerned Scientists. For example, an important logistics hub on the Pacific island of Diego Garcia would be flooded if the sea level rises a few feet. Mach: The security concerns are diverse. They range from the territorial integrity of nations through to the consequences of disasters for economies, cultures and societies. What should we be doing and fixing – in terms of national and local policy – to meet these challenges? Hill: Communities can examine their land-use and construction policies to avoid rebuilding in harm's way. We should include future scenarios in Federal Emergency Management Agency floodplain map updates, limit coverage for repetitive flooding and stop offering below-market-rate policies for new construction in floodplains. Governments can incentivize adoption and enforcement of building codes which account for extreme weather scenarios and climate impacts. The private sector can incorporate climate risk into insurance coverage and provide premium savings to communities that take mitigation actions. What is managed retreat, and how should coastal communities be thinking about it? Mach: Managed retreat is reducing risk by getting out of the way. Strategically relocating people and assets out of floodplains can be a cost-effective way to keep people safe. Managed retreat is often, in effect, a negotiation between a government and people at risk. An effective relocation process has to navigate everything from the role of property taxes in local economies to the psychological attachment people have to their homes. How can we address coastal resilience issues without alienating people who doubt the science of climate change and sea level rise? Hill: We can focus on building resilience to the impacts that we are experiencing now, especially those that affect public health and our pocketbooks. We can start that discussion without even using the words "climate change." Mach: Climate change doesn't always have to be part of the conversation. In many places throughout the U.S., people know they have a flooding problem. Last year, flooding from hurricanes, storm surges and heavy rain destroyed infrastructure, disrupted economies and jobs, took lives, and ran up a final multibillion-dollar bill that was record-setting. People are responding to the problem whether or not climate change is part of the conversation. Are there any silver-lining opportunities for coastal communities considering action to reduce risk? Hill: Building resilience can bring multiple benefits, including strengthening the economy, protecting the environment and improving quality of life. Preparing for extremes can reduce recovery costs. On average, every dollar we invest in risk reduction saves $6 in damages. When communities make themselves more resilient, they can get back to business after a disaster faster. And the faster they get back to business, the stronger their communities become. Mach: Managing coastal risks can result in valuable gains such as restoration of coastal wetlands and nature, infrastructure geared towards future sea level rise and laws and policies that provide needed flexibility through time.